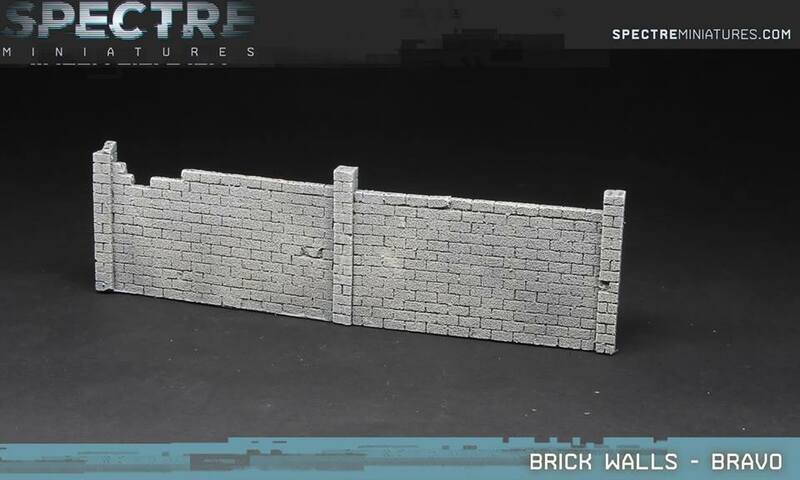 "This highly detailed resin scenery set includes over 9 inches of concrete walls, with a maximum height of 45mm. 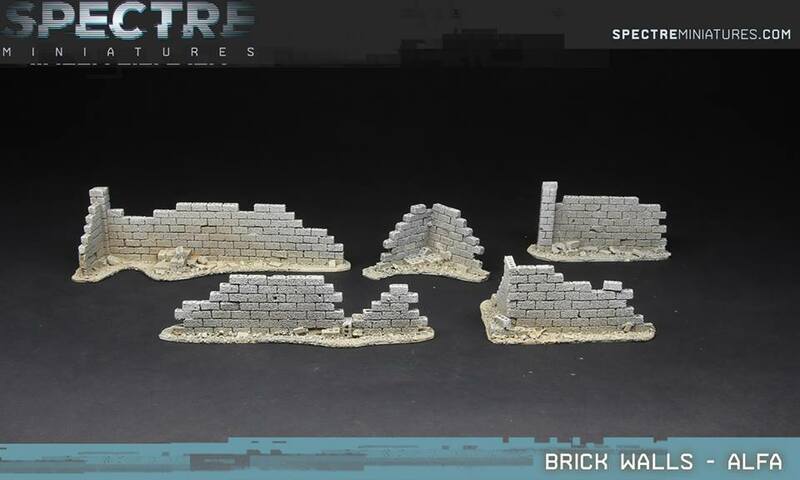 This set comes with 2 wall sections and 2 pillar section. 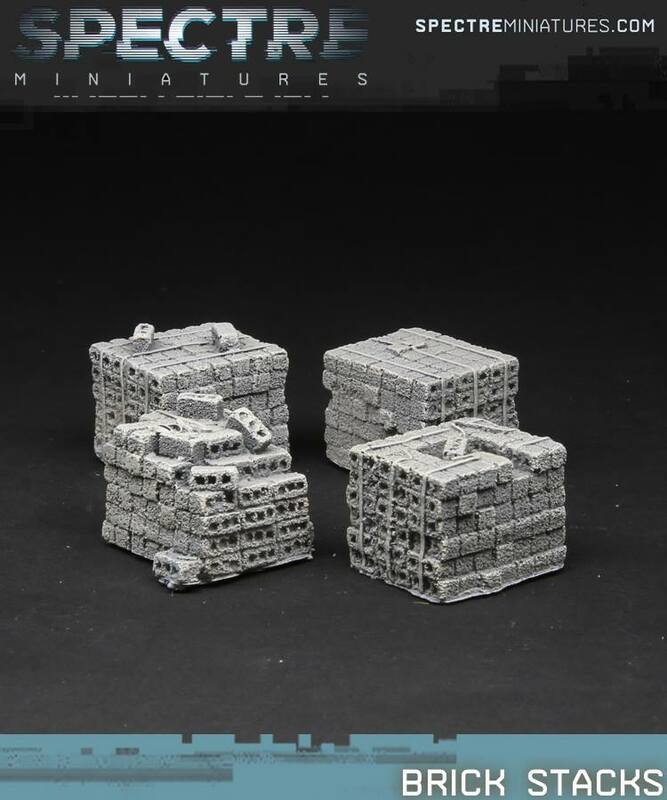 These are perfect for adding cover to you gaming table, or adding detail to buildings and scenery." 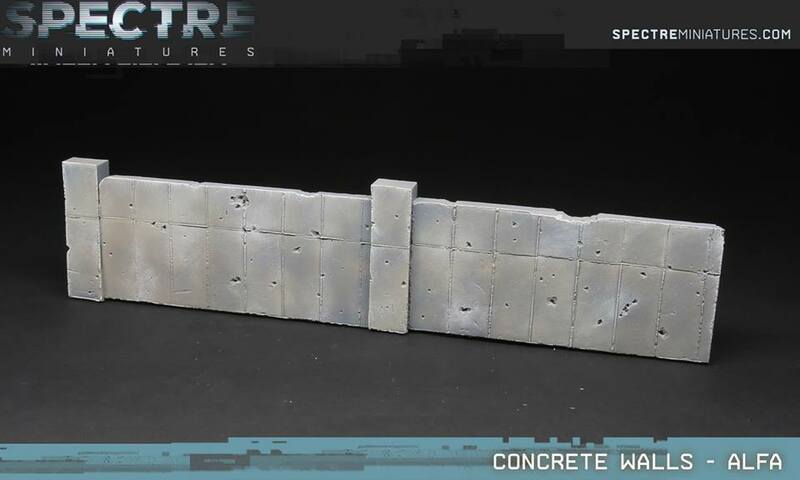 Perfect for a containment wall, for zombies, dinosaurs, etc. Very nice selection of minis. A lot are sold out though. I assume 28mm, but are they metal, resin, or plastic? Spectre waits to run batches of models until they are completely out, so you need to grab what you want as it's available. Multiple orders, or lots of waiting for everything to be available, is the order of the day. I'm pretty sure their terrain pieces are all resin. Figures are metal, I have some. vehicles are a mix of resin and metal detail pieces.